What would you do if your best friend was in trouble? As man’s best friend, we can see that Brexit is a real dog’s dinner. 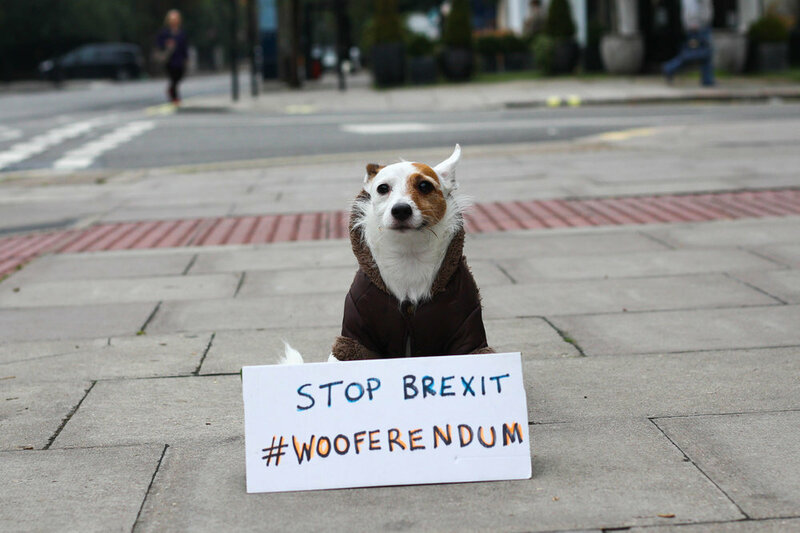 That's why canines all over the country are starting a Wooferendum, howling on behalf of the millions of people in the UK who believe Brexit is a huge mistake. Sunday 10th March 2019 - BREXIT DOG’S DINNER - join us! We are holding a ‘dog’s dinner’ outside Parliament - for hundreds of dogs (and their owners) to come and protest. Please join us and spread the word. On Sunday 7th October, the first Wooferendum march was an epic event, with great media coverage. Check out these stories in The Guardian, Daily Mail Online, The Independent, Bloomberg, the Evening Standard and The Metro - and that’s just a few of them. 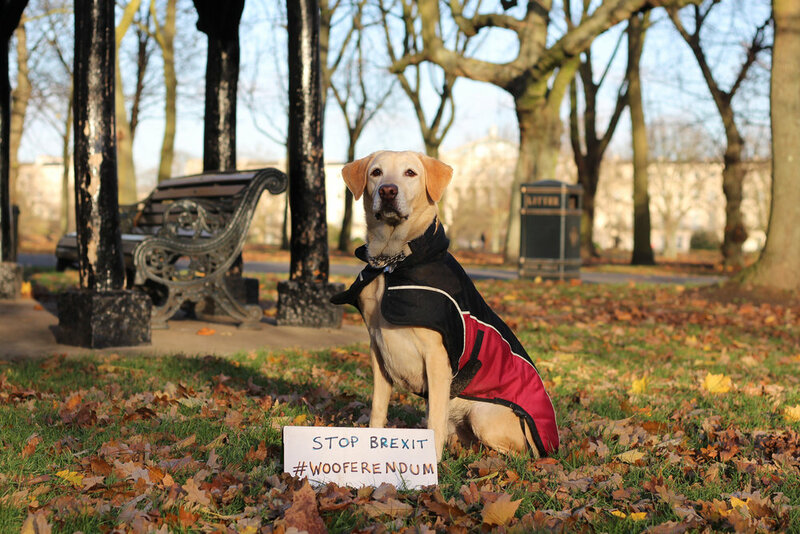 If you like what we are doing, you are welcome to help us by contributing to our Wooferendum Crowdfunder - every donation makes a big difference and helps us achieve more.